The years-long fight for a fall reading break might be coming to an end. It’s not yet guaranteed that break will be achieved. If it is, it will not be a full week — but a long weekend created by adding an additional day or two to the Remembrance Day or Thanksgiving weekend. Holmes is hopeful that a four- or five-day break would lead to a longer one in years to come. “If we begin to make gradual change on this, we can get the full week sometime soon,” he said. Others working on the project are less optimistic. Senate Academic Policy Committee Chair Dr. Paul Harrison said no definitive proposals for a break have been put forward. “Now, that’s not to say that it couldn’t happen for next fall, but there’s been no decision within the committee to take anything to Senate yet,” said Harrison. 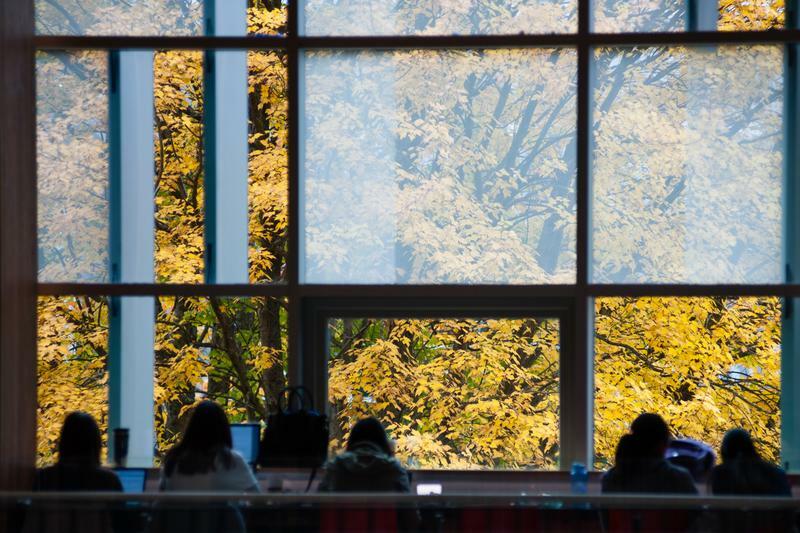 There are a number of reasons why creating a fall reading break at UBC is particularly challenging. UBC has the second-lowest number of instructional days of any Canadian university, meaning its winter session is already tightly compressed. Harrison said his consultation with student groups shows that most students are reluctant to sacrifice instructional days. “I heard directly from students saying, ‘We’re paying for our instruction. Don’t take more days away from it,’” he said. Another possible solution is beginning the school year at an earlier date, but Holmes explained this would create scheduling conflicts for orientation programs like Jumpstart and residence advisor training. It would also force students returning to Vancouver to pay rent for the month of August. Holmes believes the key to implementing a break is shortening the December exam period — but this poses its own set of challenges. UBC’s exam schedule, which will run from December 4 to 19 this winter term, is already one of the longest in Canada. Holmes believes shrinking it would be the simplest way to allocate days for a reading break. “The exam schedule is the main reason we can't have a fall reading break,” he said. To shorten the period, Holmes said the Senate is looking into allotting only two and a half hours per exam instead of three, scheduling exams on Sundays and reducing the number of courses that have final exams. But Harrison doesn’t expect the exam period to change anytime soon. “The length of the exam period is certainly a source of much study, but we haven’t come up with a way of reducing that effectively without greatly increasing the number of exam hardships students would have,” said Harrison. An exam hardship, according to UBC policy, is when a student has three exams scheduled within a twenty-four-hour period. Instead, Harrison thinks the short break before exams will have to be cut. “The most we could do right now is ask students to give up one of the three days that are set aside between the last class and the first exams,” he said. Holmes emphasized that, despite many years of advocacy without progress, the Senate and AMS have been doing all they can to bring a fall reading break to fruition. Holmes said UBC President Santa Ono has said that creating a break is a priority, which bodes well for the possibility of getting a break in the future. “If it's a priority across the university, there is no reason that we should not be able to do this,” said Holmes. The AMS will hold a town hall on November 20 to collect student input and assess what students would be willing to sacrifice in order to make fall reading break a reality.